What is the problem again? well it not much I just want to share about how I can load the *.rdlc file stored outside the Assembly. By store the report separate from the BillionDollarApp.exe (not embed *.rdlc as an assembly resource) it allow me to make change to the report without having to recompile my app. 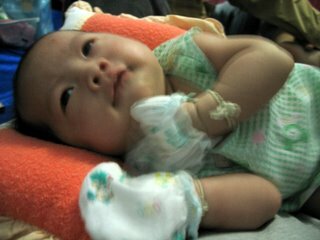 Chorn Chan Reasey, my very first daughter. okay, nothing wrong it just a normal object definition right?